Fundraising is the instant answer from any director of a nonprofit who’s asked about the hardest part of their job. Your mission is to support a great cause and generate social change, and money is the only way to make that possible. Keeping a nonprofit funded is a never-ending challenge. 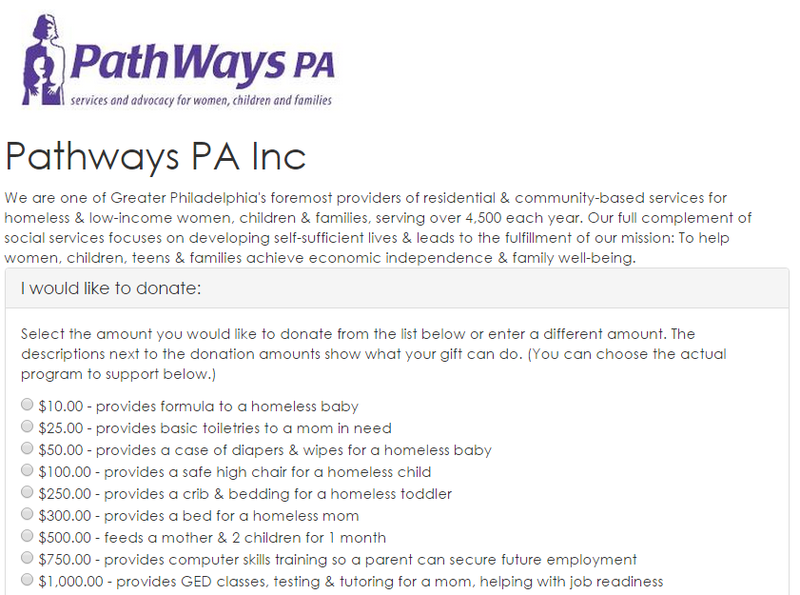 Our partner, DonorPath, is an organization that matches nonprofits with experts to support their fundraising efforts. Think of it as getting a fundraising consultant that can help you with strategies, tactics, tracking and campaigns. DonorPath’s experts have a minimum of 10 years experience and have worked for at least three nonprofits in a professional capacity. Getting started is easy – just visit DonorPath.org, create a profile and select from a list of matching experts to begin building your virtual fundraising team. A library of DonorPath guides, templates and checklists to help manage fundraising. This covers more than just raising money online. If you decide to continue your DonorPath subscription, the cost is $239 a month for a variety of support services including solution sessions, direct communications with your expert, and building a 12-month fundraising road map. Ongoing reporting and customer service are part of it too. “We’ve helped nonprofits increase fundraising results by as much as 61% over 12 months when they fully leverage the coaching, tools and insights in a DonorPath subscription,” says CEO and Founder Brian Lauterbach, who’s also a Certified Fundraising Executive (CFRE). Check out the video to hear firsthand from a nonprofit that’s used DonorPath. To find out more about DonorPath, visit DonorPath.org. For more valuable tips, tools and resources—subscribe to our blog today. Can Donors Make Recurring Donations? Can a donor make a recurring donation to our organization through JustGive? When it comes to processing donations for nonprofit organizations, one question we’re often asked is if it’s possible for donors to set up a recurring donation using JustGive’s services. 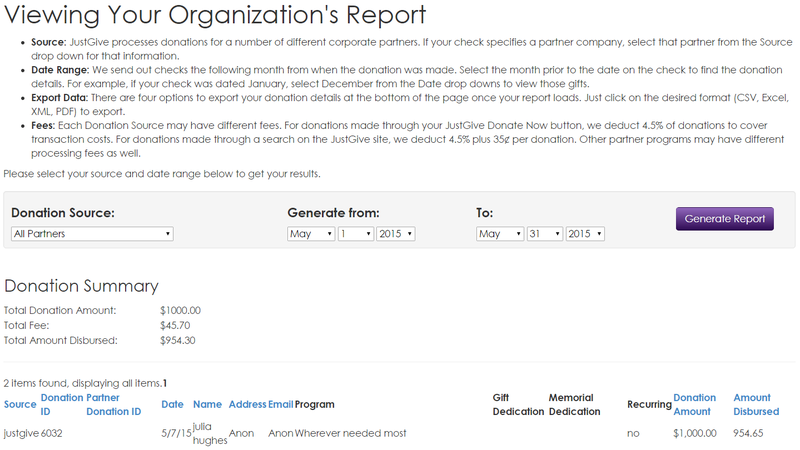 Can a donor make a recurring/ongoing monthly donation to our organization through JustGive? Yes! When you use JustGive to process your online donations, donors have the option to check a box to make their donation recurring. When they complete the transaction, they are charged for the initial donation and then again each month for the same amount. Donors can modify this recurring donation at any time through their JustGive account. For more helpful question and answers, visit the JustGive Nonprofit Support Center. And don’t miss more fundraising tips & tools: Subscribe to our blog today. “Mobile first” That’s been the mantra for many tech companies in the last several years. With Google’s recent announcement that it will favor mobile-friendly websites in search results, this mindset is even more important for every organization with a website. Stats clearly back up increased mobile use too. According to the 2015 Internet Trends Report from Kleiner Perkins Caufield & Byers, U.S. adults spend more time using mobile (51%) than desktop devices (42%). In fact, a 2014 Mobile Behavior Report from Salesforce says consumers spend an average of 3.3. hours on a smartphone and 3.1 hours on a tablet every day. And for donations? As DonorDrive reports, responsive design doubles mobile giving. (Download their whitepaper for details.) Here’s some proof: Last year, the United Way Bay Area found that responsive design led to a 34% increase in mobile traffic and 28% growth in online donations. Thinking mobile first means creating a simplified, usable website experience for your potential donors. No clutter, extra steps or complicated elements that aren’t easily clicked while on the go. Make sure your content is accessible when scrolling in an up-down manner on a narrow device (accommodating all size screens). Resist making your users turn their phone to landscape view, and instead, use a mobile responsive template that will resize your content based on the viewing screen size and aspect ratio. Make sure all your buttons—especially your Donate button!—or other action links are highly visible on a mobile screen. Google has posted a guide to help ensure that your website is mobile-friendly according to their guidelines. There’s even a handy test you can run to assess the mobile friendliness of your website. If your website runs on WordPress, there are a hundreds of free, mobile-responsive themes (Google Search) and plug-ins like WPTouch that can quickly make your website more mobile-friendly. Subscribe to our blog to keep getting helpful tips and tools for raising more money. When using JustGive to process your online donations, you’ll want to keep a record of your donors and their contact information so you can thank them and add them to your donor database. Will we receive contact information for our JustGive donors? That depends on the donor’s preference. JustGive takes care of immediately sending a tax receipt to each and every donor for their gift. It’s not a bad idea to send a thank you note from your organization too. Just make sure to thank donors for the full value of their donation. Allowing donors to choose their own privacy settings is one of the benefits of JustGive, and it’s one way we break down the barriers to giving. This weekend, my daughter and I went to a pool party. I was wearing: long white pants, sunglasses, a wide-brimmed hat, and approximately 10 gallons of SPF 45. Obviously, I looked amazing. This is what happens when you’re a fair-skinned redhead and burn the moment the sun rises. I must admit, though—as much as I hate having legs so white they blind people, it is sort of a blessing. Sunscreen is not optional for me. As a result, I’ve had to be responsible about my skin all my life. If I’d been born with my daughter’s skin, I might have been more daring. She has the most gorgeous olive-colored skin I’ve ever seen, and doesn’t seem to burn. 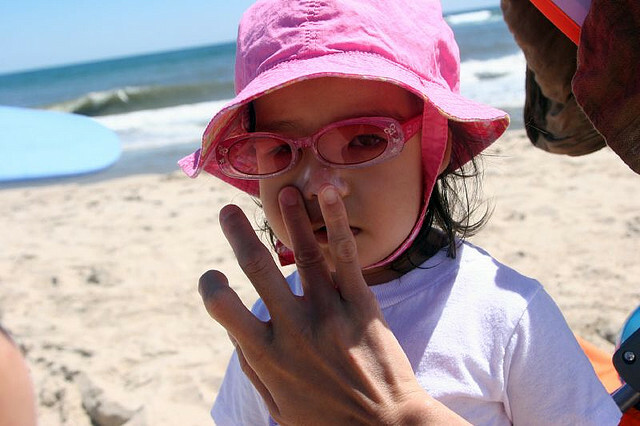 Putting sunscreen on a toddler is no fun at all (it’s sort of like trying to catch a fish with your hands), but it’s 100 percent worth the effort—she may not burn easily, but it’s simply too dangerous to go without protection. One bad sunburn doubles your chances of developing melanoma. Melanoma is the second most common cancer in children and teens, and one of the most common in young adults. Fair skin and red hair mean you have a higher risk of getting skin cancer. You’re also at a higher risk if you have more than 50 moles, a weakened immune system, or a family history of skin cancer. Tanning beds are very dangerous: One indoor tanning session in young adults increases melanoma risk by 20 percent. The risk of basal cell carcinoma increases by 25 percent after only one to two indoor tanning sessions. The risk soars to 73 percent after six or more sessions. Wear sunscreen. No excuses. Yes, it’s a pain to apply, but it’s worth it. I like a spray sunscreen– it makes application a lot easier. Avoid the sun during peak hours. Never use tanning beds. Check your own skin. 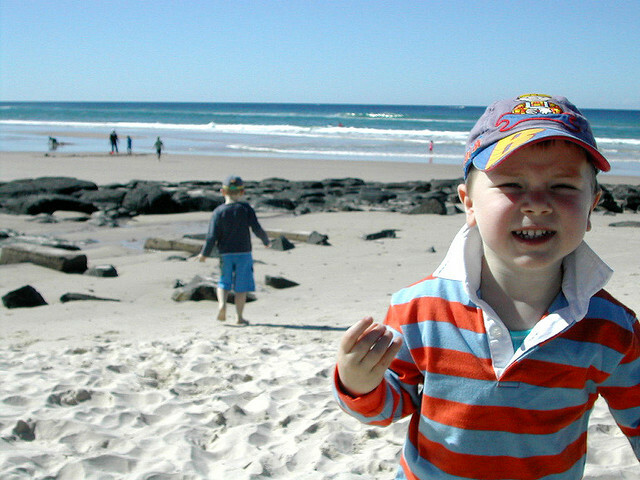 The Skin Cancer Foundation’s step-by-step guide tells you how. Have a doctor check your skin. Visit a dermatologist if you find a rough, sandpaper-like patch, discover a new mole, or have a mole that has changed color, shape, or has started bleeding. Now that you know how to protect yourself, help others. What we know about skin cancer is, for the most part, because of the work of skin cancer-focused organizations. Give today so they can continue their work, saving millions of lives. American Academy of Dermatology supports research, funds a summer camp for kids with skin disease, and educates the public. Skin Cancer Foundation funds public education, early detection programs, medical seminars and groundbreaking research. The Pediatric Sun Protection Foundation targets childhood skin cancer, which is on the rise. A new charity, they specifically focus on raising awareness about sun safety for kids. You can also help with cancer research yourself. I recently signed up to participate in Cancer Prevention Study-3 through the American Cancer Society. If you’re between the ages of 30 and 65 and have never had cancer, please sign up for this long-term study. We will only stop cancer if we continue to support research, and fund programs searching for a cure. Enjoy your summer…and don’t forget that SPF!